As the private aviation industry has grown over the years, so has the standard of in-flight service and cuisine served on board. As one can imagine the standard required to meet the demands of the clientele is exceptionally high. Passengers can pay thousands of pounds per hour to charter an aircraft. The catering and service provided really needs to be exceptional given these clientele probably frequent some of the best dining establishments worldwide. When it comes to the on-board possibilities and creating the exceptional, there are no limits. Almas and Beluga caviar, vintage wines and champagnes, premium spirits designer cocktails, premium tea such as De Hong Pao Tea, and coffees such as Black Ivory and Kopi Luwak to name a few. It has been known for items to be flown in especially from around the world for a passenger request. Executive jet caterers and aircraft operators are continually looking to source the newest, innovative and most exclusive items on-board to continually raise the bar. As ever there are exceptions not all passengers want fuss or fining dining, I have served baked beans on toast and bacon sandwiches on request. It has to be said the key to the dining experience really is the Flight Attendant who plays an integral role. 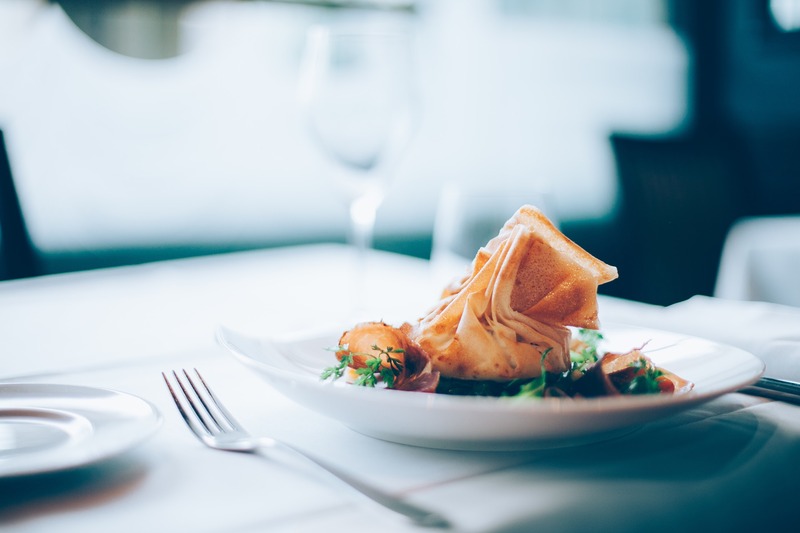 They often plan the menus which are on par with a fine restaurant, source the catering choose the provider, usually a high end executive jet caterer, hotel or restaurant (depending on where they are in the world). Sometimes the passengers may have their own ideas and request a specific restaurant; it is not unheard of for requests from fast food outlets. The Flight Attendant will then prepare the food on-board often from a small galley, unless working on a large jet, plate it like a chef and serve it to the passengers. Many Flight attendants now undergo culinary training as well as service training, incorporating culinary knowledge, silver service training, food and wine pairing and food safety training. They are highly skilled ambassadors essentially providing hospitality in the air. In fact some executive jet catering companies such as On Air Dining in the UK have led the way with culinary training. The best meal in world can be spoiled with poor presentation and preparation, understanding how dishes should be delivered to the client is key. Service training is also vital to ensure the same level of service as you would expect from any high end restaurant is delivered seamlessly to create that all important in-flight dining experience.